来自 ASLA 对gooood的分享。更多关于他们：Snøhetta on gooood. Willamette Falls is the second largest waterfall by volume in the country. For over a century, the breathtaking site has been cut off from public access by industrial infrastructure built along the water’s edge. 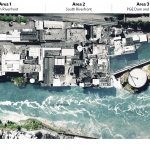 Upon closure of the Blue Heron Paper mill in 2012, city and state agencies came together as the Willamette Falls Legacy Project to secure public access to the Falls. 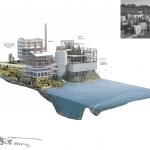 A new riverwalk and its sequence of public spaces will allow visitors to rediscover the full height of the Falls and its rugged shoreline, uncovering swaths of the 22-acre site’s basalt topography and reconnecting Oregon City to its spectacular waterfront. 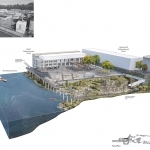 Grounded in four core values, the analysis, planning, and resulting design of the project targets Public Access, Healthy Habitat, Economic Redevelopment, and Historic and Cultural Interpretation. 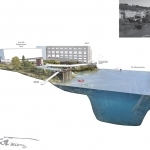 The riverwalk will serve as a portal to the Northwest’s history, reviving its aggregated layers of natural, ecological, cultural, and geological history. 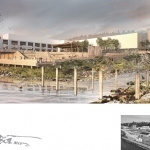 The reimagining of Willamette Falls in its fullest depth in nature, culture, and time, opens a new chapter in the life of the site. ▲场地概貌-既有场地鸟瞰。在过去的一个世纪，这片壮丽的景观由于河岸工业基础设施的修建而逐渐远离了人们的视野。城市的主干道在场地和城市的其他区域之间形成了阻隔。Overall Site – Existing Site Conditions, Aerial Photograph.The site encompasses the location of Oregon City’s historic downtown. Over time, industry overtook the shoreline. For the past century, the waterfront has been inaccessible to the public. Main Street today dead-ends at the site area, sequestering it from the rest of the city. ▲场地概览- 设计提案。新的设计将整个场地视为一个整体，并由走廊和架空步道构成的网络实现物理层面的连接。谨慎的场地策略使历史悠久的海岸线以及动植物栖息地得到了恢复，同时为观赏瀑布提供了广阔的视野。Overall Site – Proposed Design, Illustrative Plan. The design treats the whole site as a single landscape, with a network of pathways that lace through the physical strata of the site. Sensitive site editing through strategic removal of structure restores the historic shoreline, allowing animal and plant habitats to flourish while providing expansive views to the falls. ▲该方案得到了数千名参与者的支持。图中展示的是2015年和2016年的社区活动，由团队发起的研讨会获得了来自多方参与者对于滨水步道设计提出的反馈。Community Outreach. 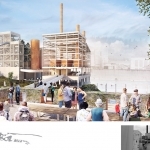 The design was underpinned by a significant public engagement effort that has reached thousands of participants. 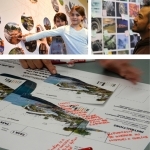 Pictured: 2015 and 2016 community events, where workshops facilitated by the design team solicited feedback on the desired key riverwalk uses and design alternatives. ▲对滨水步道场地环境的综合性分析。图中展示了当地鸟类、鱼类和哺乳动物的繁殖模式、现有栖息条件以及水电站大坝的运作情况。Synthesizing community input on riverwalk uses and environmental data, this graphic calendar depicts the seasonal activities that take place over the course of a year on-site, including migratory and breeding patterns of native species, PGE Operations, waterflow, and existing habitat conditions. ▲在北部河滨地区，1860年代面粉厂所在区域的台地结构被剥离出去，使古老的玄武岩地貌暴露出来。架空的路径使游客能够穿越场地，感受被恢复的栖息地的美景。In the North Riverfront area, existing structures and platforms are peeled away to expose the outcrop of ancient basalt on which the historic 1860’s Flour Mill was constructed. An elevated explorer trail draws visitors through the area alongside restored habitat. ▲游客可以沿着长廊抵达公共庭院。这里是一个宽阔的广场，可以欣赏到瀑布的壮观景色。庭院及其周围的建筑提供了灵活的公共空间，为俄勒冈城带来了一个全新的市民中心。Visitors following the main promenade arrive at The Public Yard, a broad plaza with expansive views toward the falls. The Yard and adjacent structures provide a flexible public space where people can congregate in a new civic heart for Oregon City. ▲架空的步道跨越下方的毛纺厂放水渠，与场地中既有的工业建筑相连。锅炉房和H工厂被保留下来以展示其历史用途，形成一个拥有瀑布视野的新目的地。A lofted pathway passes over the restored Woolen Mill tailrace connecting to retained industrial structures that are preserved to showcase their history of uses. 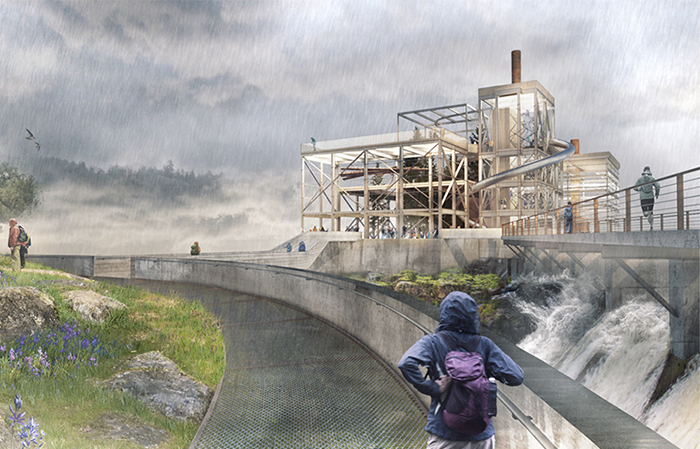 Together the Boilers and Mill H structures provide a riverfront destination with a falls viewpoint. ▲高架的探索步道一路向南延伸，将H工厂与沉淀池、波特兰通用电气公司大坝与发电站A以及Hawley电站等历史工业建筑以及位于尽头的瀑布景观连接在一起。The sequence of elevated explorer trail pathways extends south like stepping stones, connecting Mill H to the Clarifier, to PGE Dam at Station A, to the final overlook over the falls at the historic Hawley Powerhouse Foundation. ▲三个剖面图阐释了路径设计的多样性。这些路径为玄武岩基岩上的栖息地提供了恢复的机会，同时使既有的人行通道得到了有效利用。左起顺时针方向分别是：主要长廊步道；探索步道；拟定的大坝路径。These sections illustrate the diversity of proposed pathways that provide opportunities for habitat restoration on the basalt bedrock and repurpose existing structure for pedestrian access. Clockwise from left: main promenade; explorer trail, and proposed dam pathway. ▲工业化的河岸建设削弱了海岸线的生态价值。滨水步道的设计选择性地移除了原先的工业建筑和台地，旨在恢复特定区域的生态系统。该图揭示了毛纺厂与河岸及水力发电的历史渊源。Today’s industrialized river edge diminishes the ecological value of the shoreline. The riverwalk design carves away industrial fill and structural platforms to restore region-specific ecosystems. This particular alcove reveals the Woolen Mill’s historic relationship to the river and source of water power. ▲毛纺厂观景平台是主街道的公共终点站，在这里可以获得观看PGE大坝、锅炉房建筑群、修复后的河道以及公共庭院的全景视野。The Woolen Mill Overlook serves as the public terminus of Main Street, offering 360° views of PGE dam, the historic boiler complex, the restored river alcove and The Public Yard. ▲既有的H工厂的建筑包层被剥离以带来不受阻碍的观景视野。重新被利用起来的混凝土基座充分敞开于自然环境。原生的针叶树林使人想起与造纸工业有关的场地历史。The corrugated cladding of the existing Mill H structure is peeled away to offer prominent views. 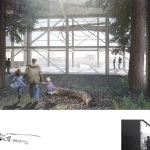 Opened to light and air, its repurposed concrete foundation supports a grove of native conifers, referencing the historic paper-making processes that once took place here. ▲净化池原先服务于Blue Heron造纸厂，其外部被设想中的人行步道环绕。内部景观的设计灵感源于当地的橡树草原栖息地。在大坝走廊维修或关闭时，游客可以通过人行步道进入瀑布景观。The clarifier, a water quality treatment structure once used by Blue Heron Paper, is ringed by a proposed walkway. The landscape interior is inspired by the region’s oak savanna habitat. This pathway allows full public access to the falls when the PGE dam promenade is closed for operations and maintenance. ▲滨水步道的设计充分利用了Hawley电站所在位置的陡峭地形。游客可以站在瀑布的边缘，充分享受水雾弥漫的神奇体验。The destination overlook of the riverwalk takes advantage of the precipitous location of the historic Hawley Powerhouse Foundation. At the brink of the falls, visitors are immersed in a tactile experience that celebrates the presence of the falls. 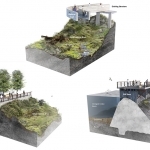 The community outreach data collected on the desired key riverwalk uses per season included: hiking trails, historic re-use, Willamette Falls viewing access, natural restoration, and water activities. 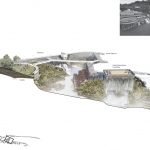 Stakeholders expressed a consistent desire to “feel the power and mist of the Falls” and be able to “put their toes in the water.” The design synthesized these key ideas by prioritizing a physical and emotional connection to the site, providing spaces where visitors can be close to the falling water, feel the spray, and access paths to the water. 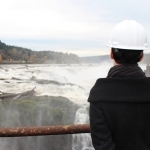 Home to endangered species and diverse flora and fauna, Willamette Falls’ sensitive and powerful environment required the design team to calibrate a host of considerations. 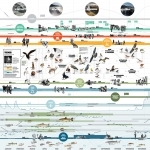 The design team worked closely with habitat scientists who identified the various habitat types throughout the Willamette River Watershed Region. This data allowed the design team to identify areas where these habitat types could be developed, creating opportunities to restore plant and bryophyte species on site. A Cultural Landscape Report provided a common knowledge base that focused on the site’s history, combining extensive archival research, hundreds of historic photographs, and site investigations. 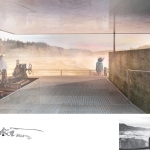 Another report, the Interpretive Framework Plan, will guide the stories to be told on site through the riverwalk design. This rigorous cultural and historic resource analysis laid the groundwork for prioritizing the site. 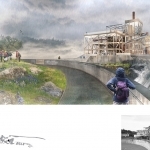 Through sensitive site editing, the project will make recognizable once again the history of the various industries that once harnessed the power of the Falls, including the woolen, flour, paper, and power operating structures; highlighting the site’s historical, cultural, ecological and economic significance. 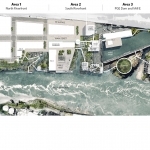 Since the public release of the conceptual design, the design team has collaborated with the Project Partners to develop a framework for public infrastructure that will integrate the riverwalk with upland portions of the site. This holistic approach incorporates strategies for improved street design, site circulation, sewage, and stormwater management. Upgrades to public utilities will feed into the projects economic redevelopment goals. In tandem with the project’s overall goals to improve public access, the design team is currently analyzing options that will extend Oregon City’s Main Street into the site, reconnecting downtown Oregon City to the heart of its historic center while maintaining the character of the site. 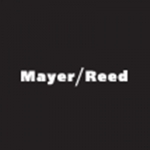 More：ASLA 。Snøhetta + Mayer/Reed 更多关于他们：Snøhetta on gooood.